Just got back from the Pikes Peak Writers Con, which was great. My friend Esri Allbritten and I drove down from Boulder and had a marvelous time. Esri is such a friendly, social (incredibly dear) woman who drags me out of my mental/emotional cave and encourages me to make contact with more people than I'm usually inclined to connect with. 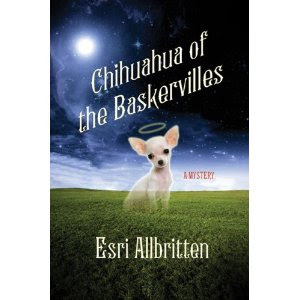 Her new book, Chihuahua of the Baskervilles, releases from St. Martin's Minotaur this July. It's a humorou s mystery. Cool cover, eh? I think my favorite part of the con was the workshop and the keynote speech by author John Hart. Down-to-earth and very witty. I am looking forward to reading his books. The talk was all about the changes in publishing and the future of e-books. Everyone agreed this is a marvelous time to be an author. Wish I could write more, faster! 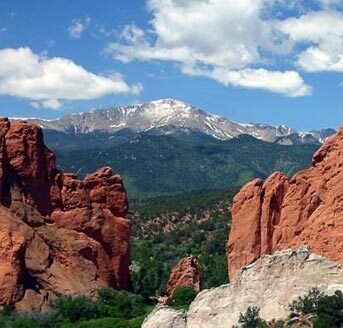 I love Pikes Peak. I didn't know there was a conference there. I will have to attend in the future, just as an excuse to return.